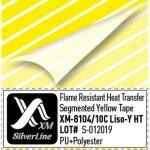 XM SilverLine™ FR reflective tapes are flame resistant and highly visible. 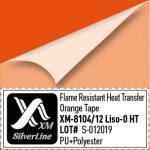 We make our FR-tapes with Flame Retardant Cotton or Aramid backing. 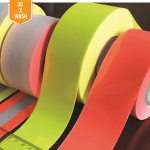 The surface of the tape is made of layer of special epoxy resin, microbeads (tiny glass spheres) and FR-additive. 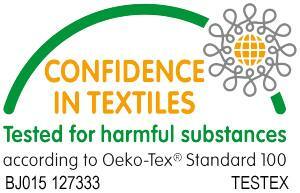 For best reflection we use only quality micro beads with high Reflectivity, Ra>500. 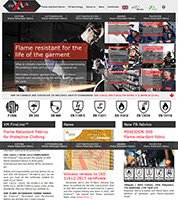 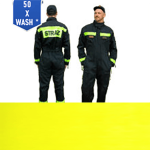 Application of our FR reflective tapes: FR clothing for Electrical workers, for Oil and Gas, Emergency (EMS), Firefighters. 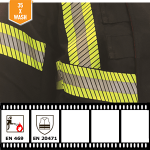 Type of FR-clothing with reflective tape: FR-tapes are used to sew on firefighters coats and pants (structural or wildland), so-called turnout or bunker gear. 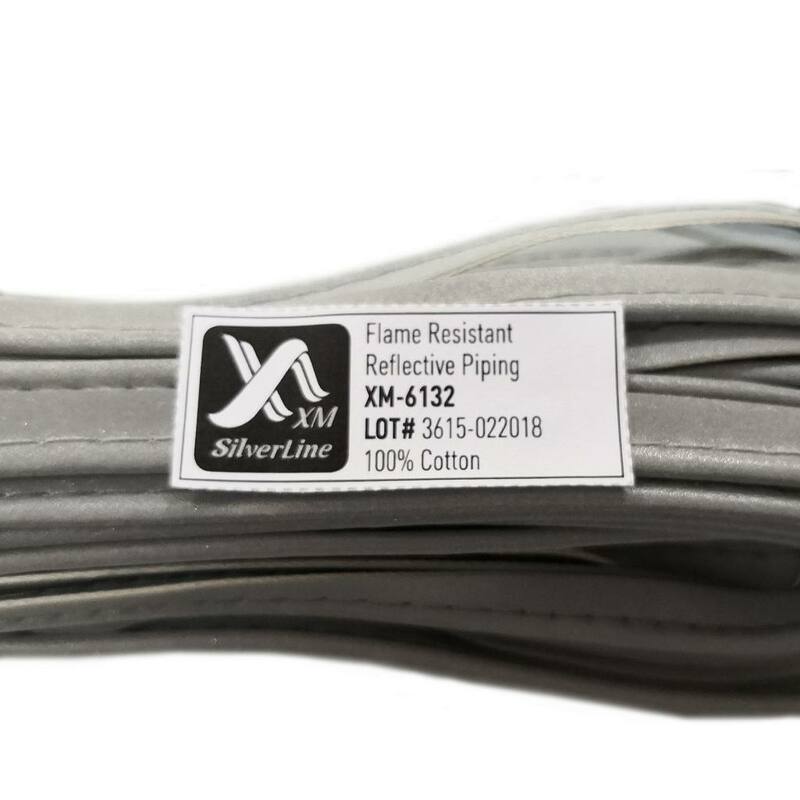 Besides, FR tapes are often used for industrial workers to sew on FR-overalls, FR-coveralls, FR-trousers and FR-jackets to protect from Heat, Flame, Fire or Electric Arc. 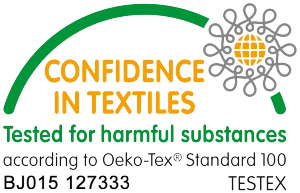 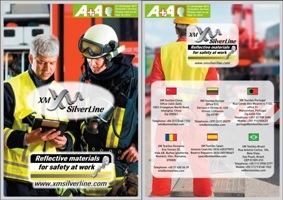 Certification: We have certified our reflective tapes according to American and European safety standards. 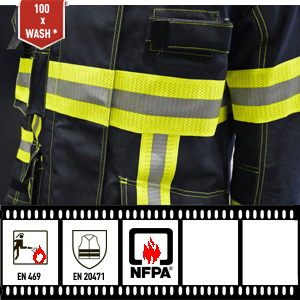 Most of our FR-tapes are certified to EN 469 and EN 20471 after 50 or 100 washes. 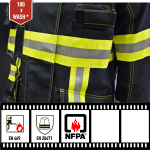 Some of our FR-tapes for American markets comply to NFPA 2112 for flame resistance requirements after 100 washes. 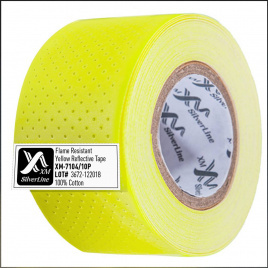 Our range of FR Reflective tapes consist of triple trim in Yellow-Silver or Orange-Silver colour, all Silver or all Yellow tape. 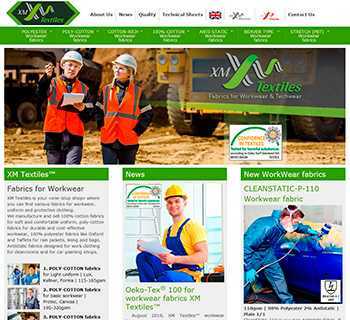 We produce FR-tapes in 5cm (2″), 7.5cm (3″) and 2.5cm (1″) width for sew on application. We have also FR-tapes for heat transfer application (XM-6015 has already been certified and another heat transfer FR-tapes are in development). You can buy XM SilverLine™ FR reflective tapes from our stocks in Asia and Europe. 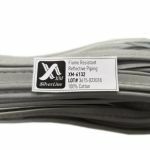 Order your free sample of XM SilverLine™ FR reflective tape now!